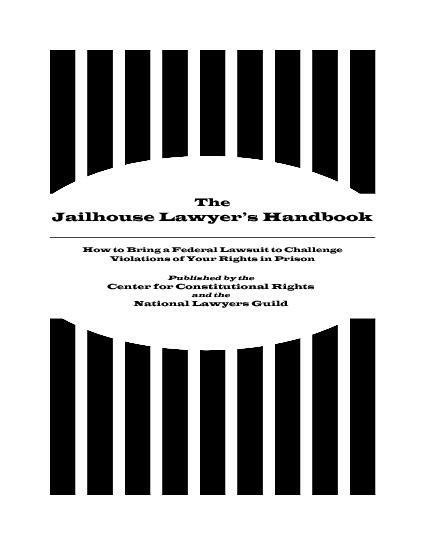 This Handbook explains how a prisoner can start a lawsuit in federal court, to fight against mistreatment and bad conditions in prison. Because most prisoners are in state prisons, the authors focus on those. However, people in federal prisons and city or county jails will be able to use the Handbook too. This is the fifth edition, revised and printed in 2010. Donations of $2 (or more) to help offset postage and shipping are greatly appreciated. For more information, please visit: www.jailhouselaw.org. If you’d like to volunteer with the Prison Law Project, please contact plp@nlg.org.